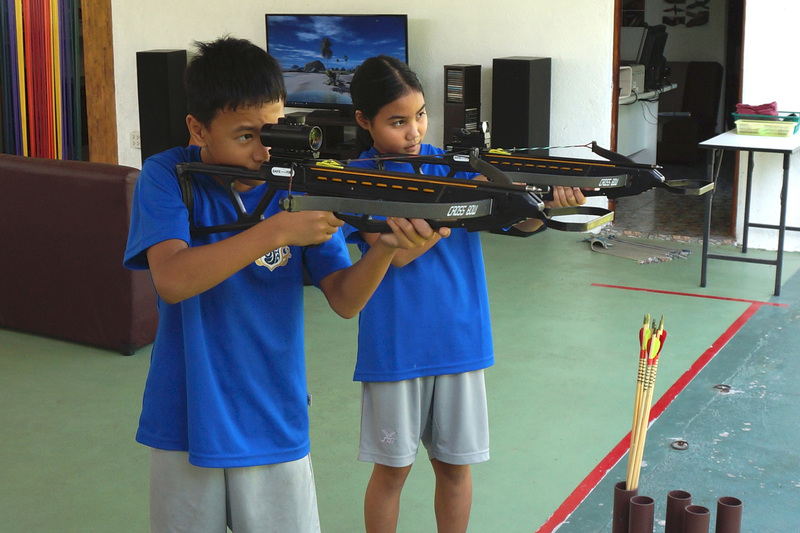 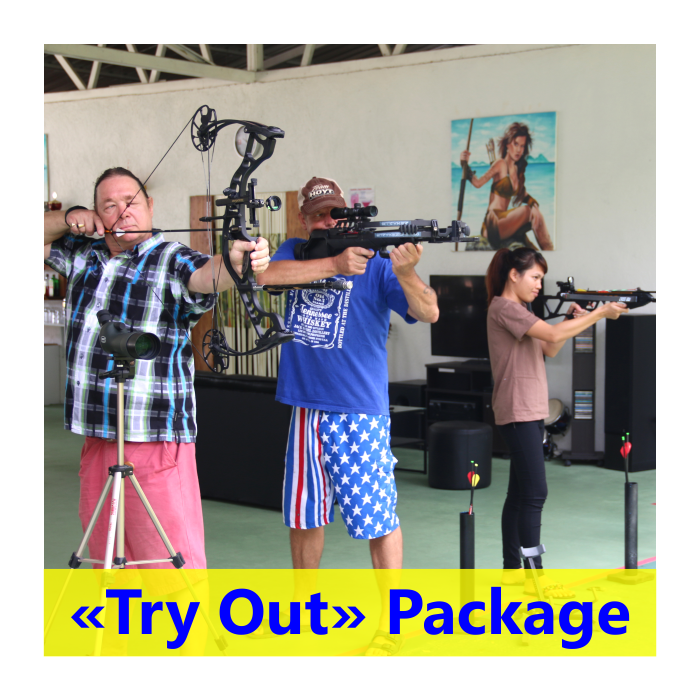 We strive to have the right archery device for everyone; be it for sporting families, occasional archers, or the professional who is used to practicing with high-quality equipment. 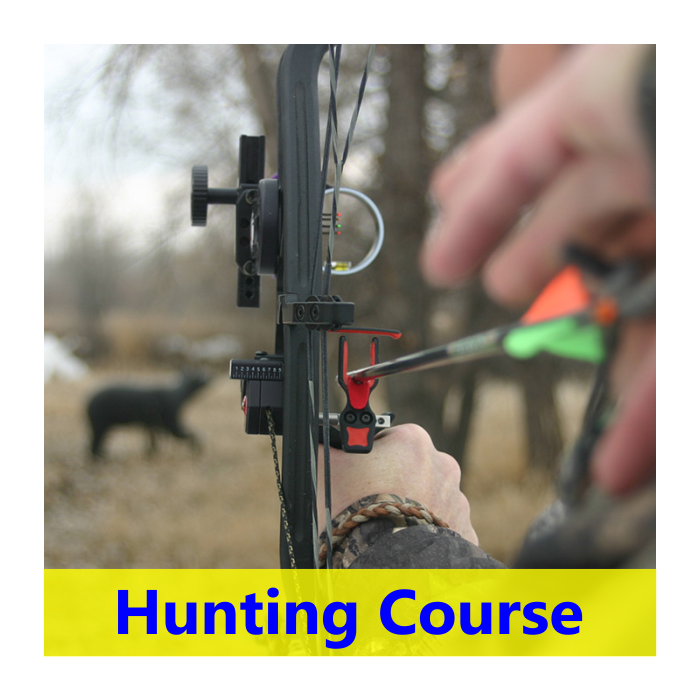 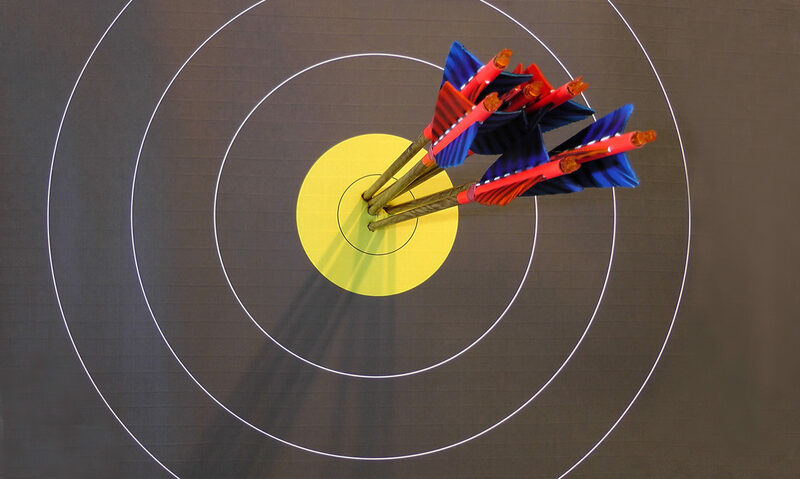 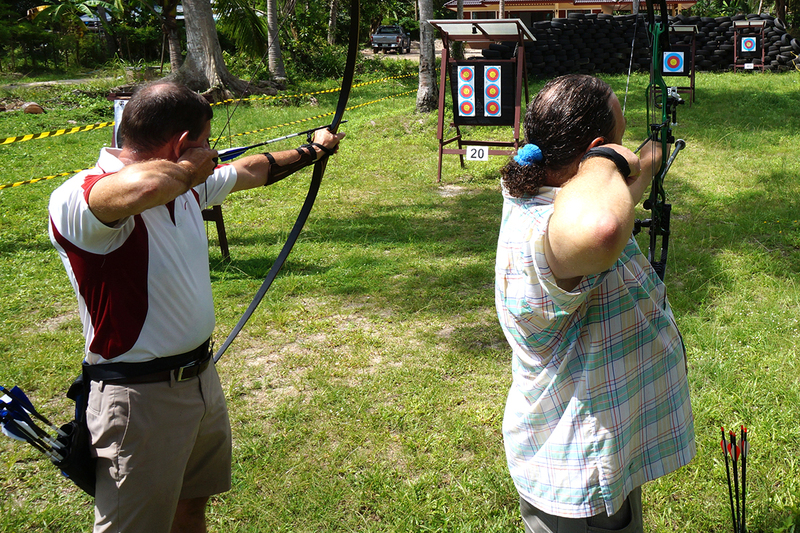 It is our privilege to ensure that our customers are instructed with know-how, to experience archery with pleasure. 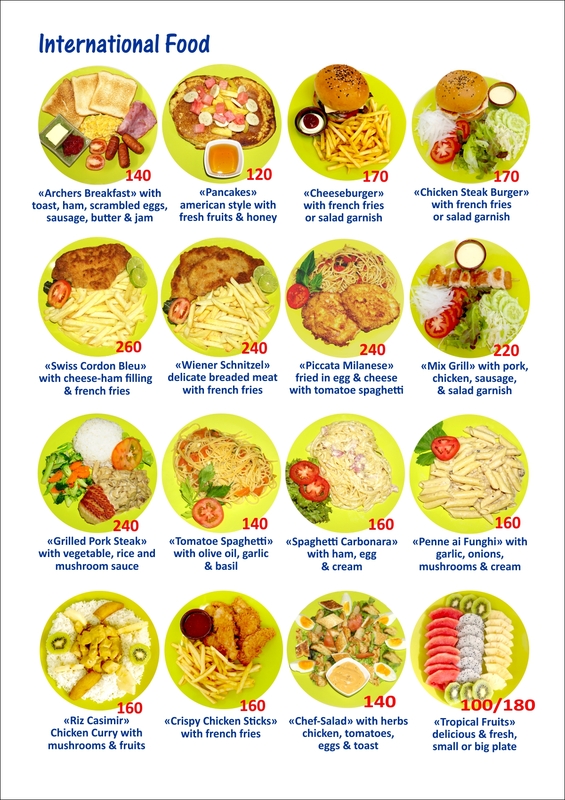 In our Restaurant, we serve breakfast, lunch & dinner. 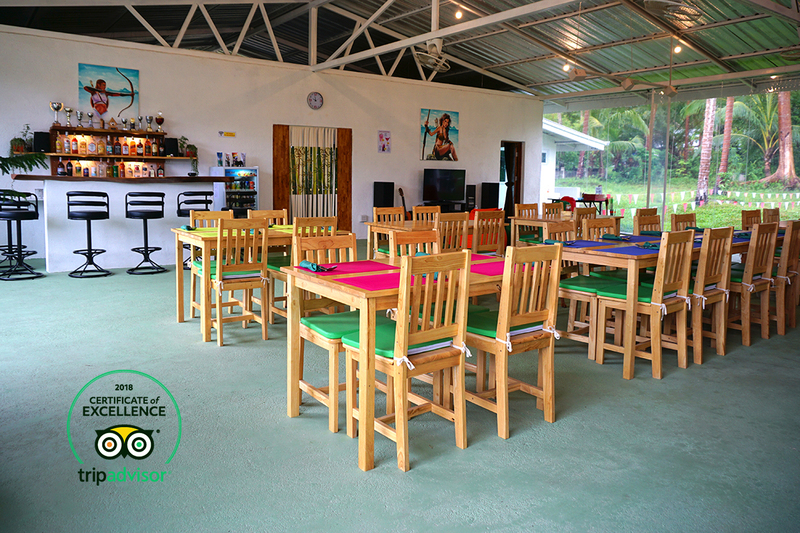 We prepare the food only with fresh products, which come daily from the local market. 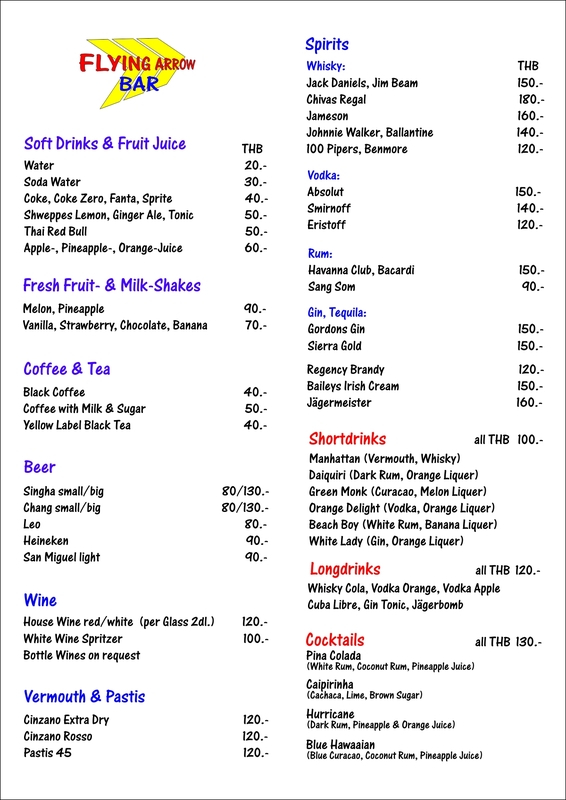 All meals and drinks are available to take away. 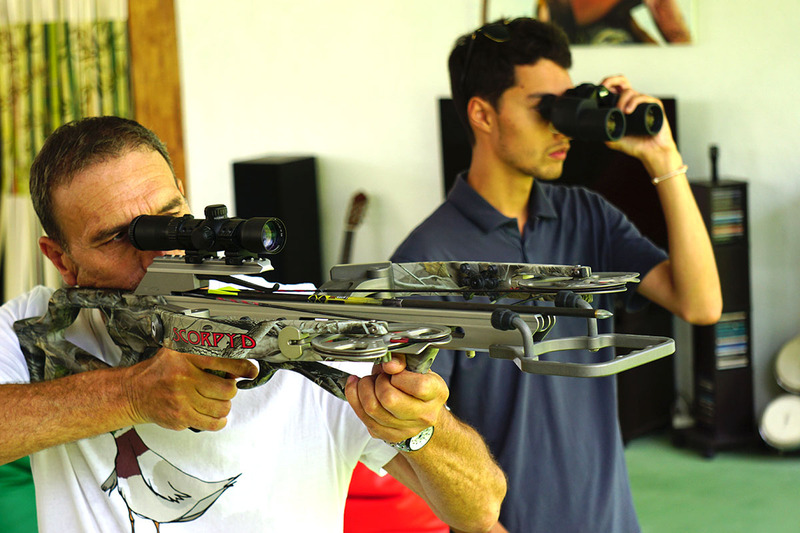 The time for preparation is about 10 – 15 minutes. 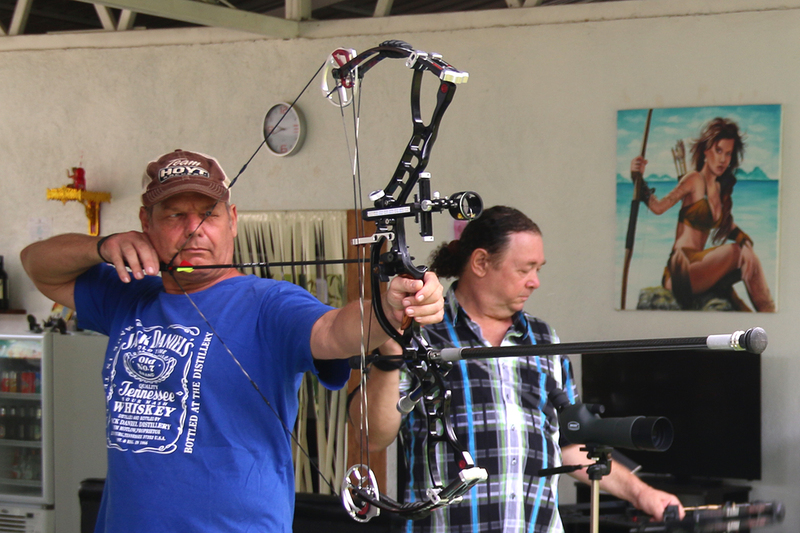 Beautiful and quiet area for relaxed practice under palm trees. 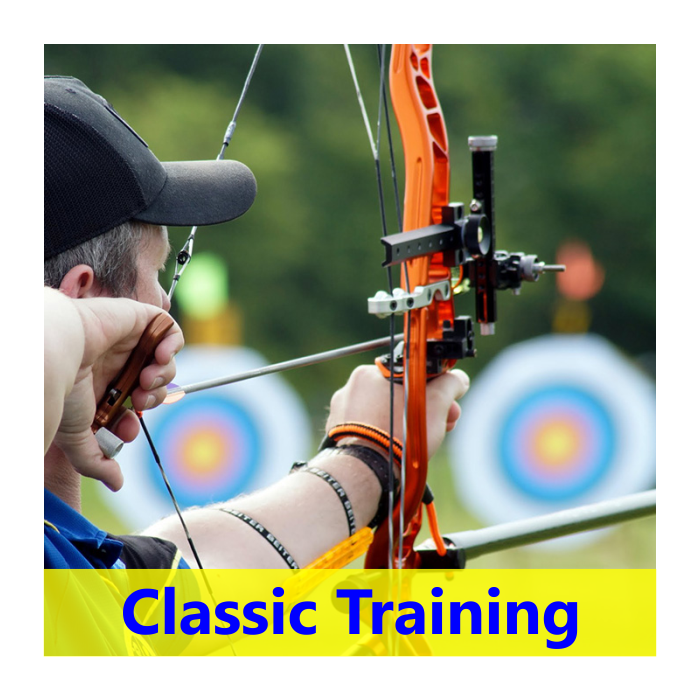 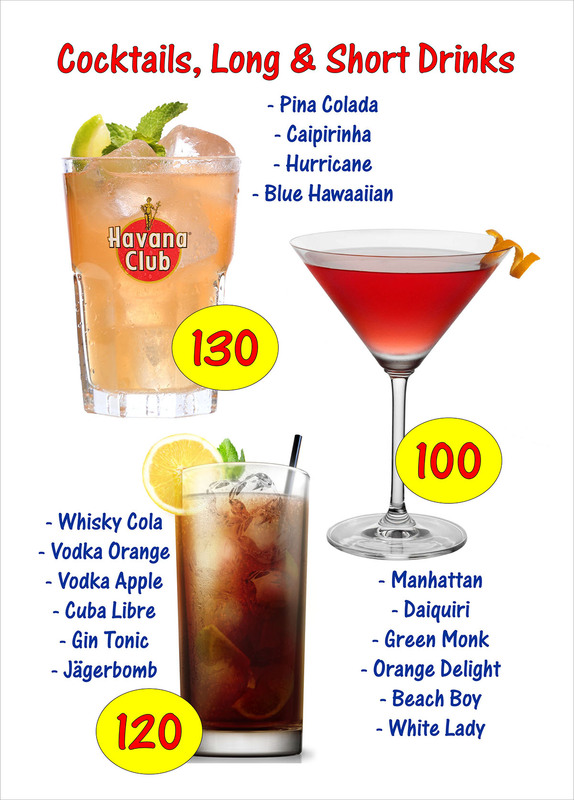 Suitable for beginners as well as professionals. 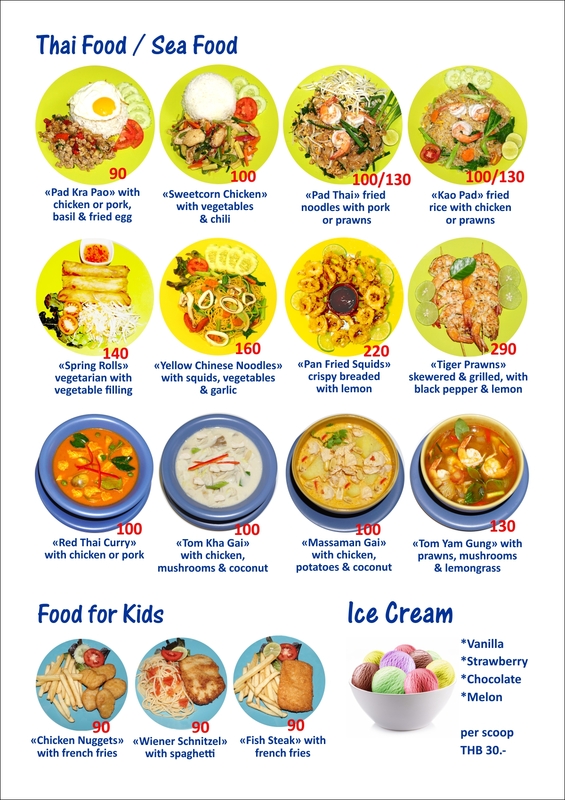 All weather fun for the whole family. 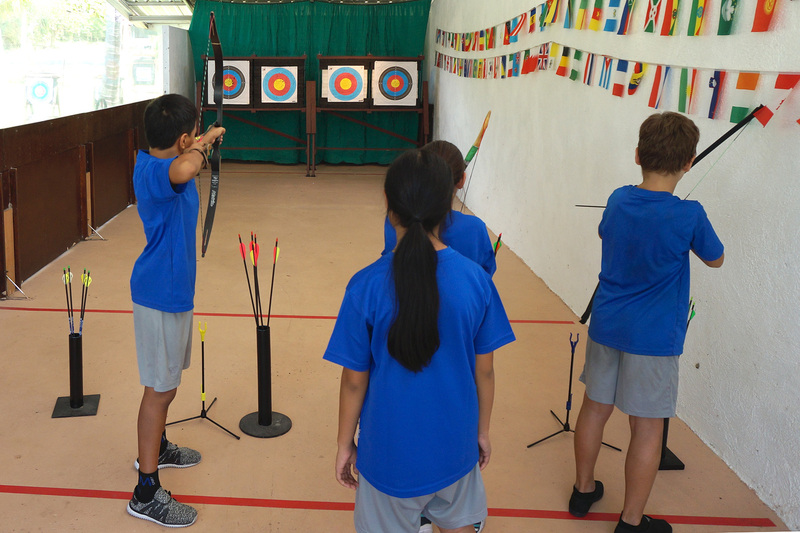 Well ventilated on hot days and in rainy weather the best choice for indoor activity. 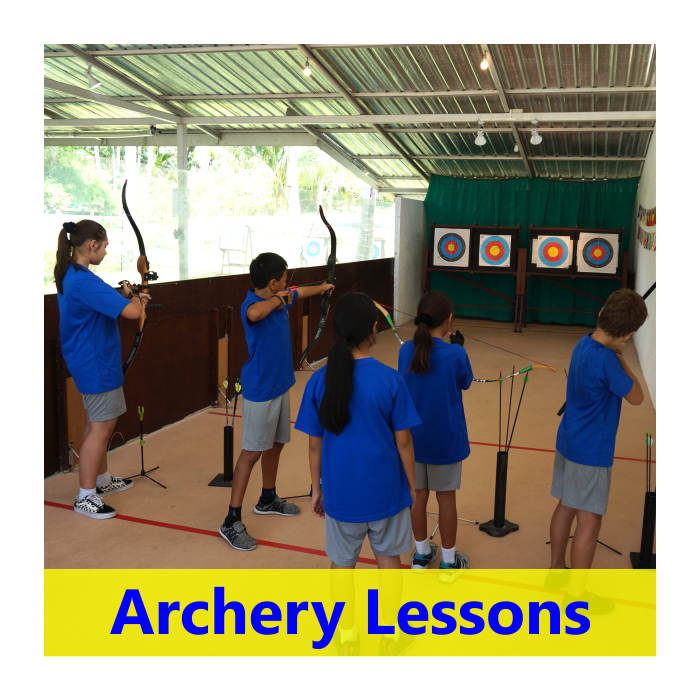 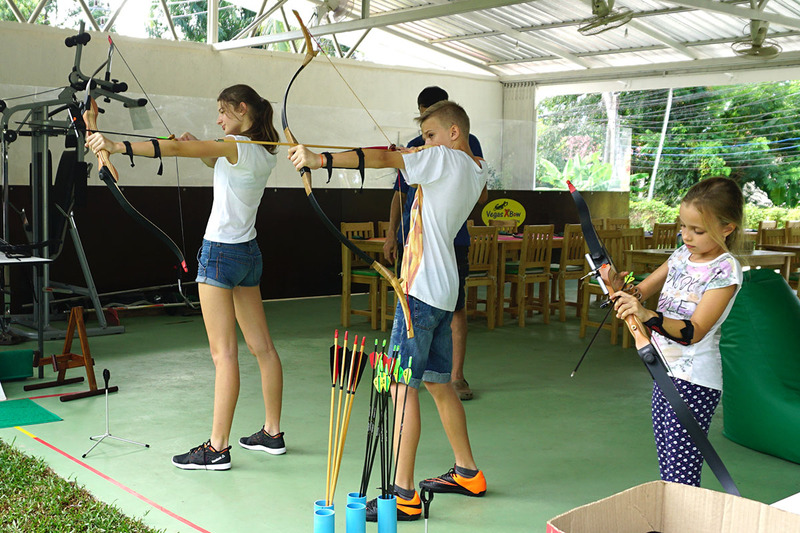 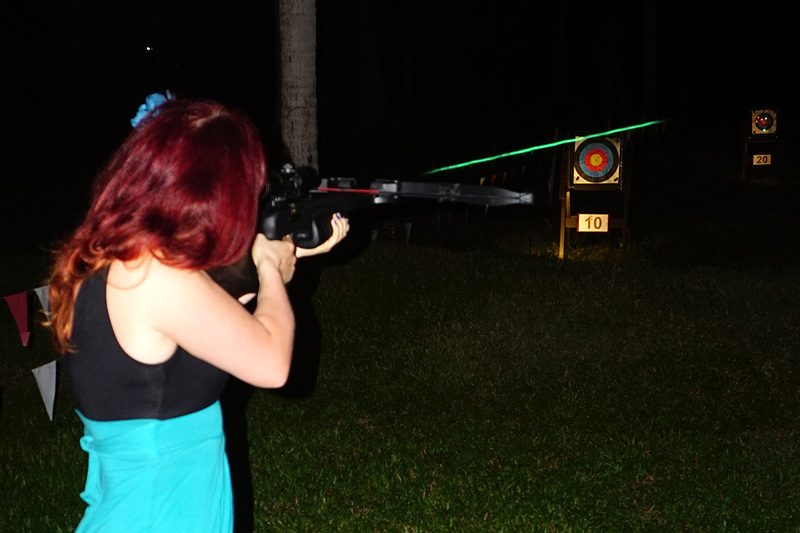 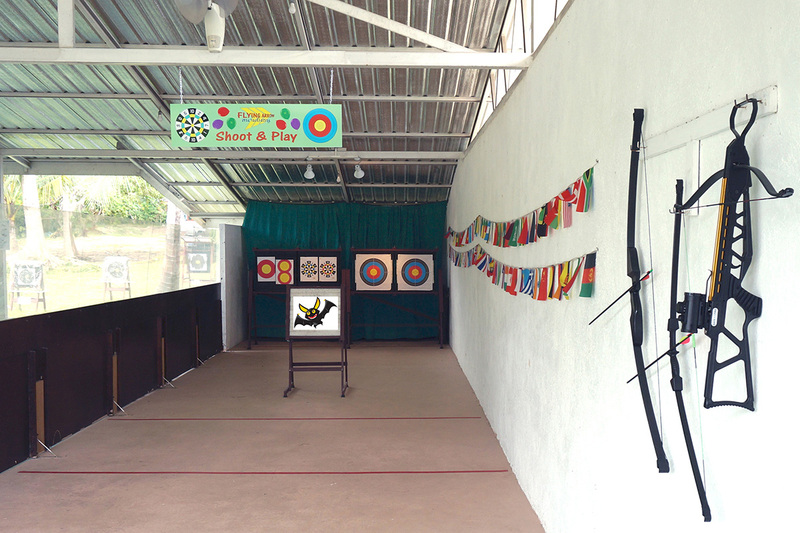 “Flying Arrow” has a wide range of archery activities.